Celebrate 50 years of fun and enjoyment with the Fisher-Price Little People 50th Anniversary Play 'n Go School toy. 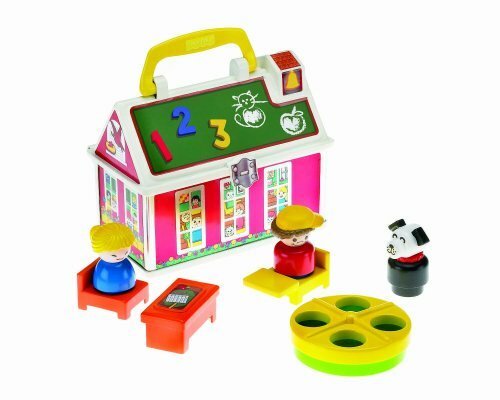 Housed in a take-along tin box, this toy includes a retro teacher, desk and chair, retro student, studentâ€s desk and spinning merry-go-round. With an easy-to-carry handle and tin box, children can carry it along anywhere they go.